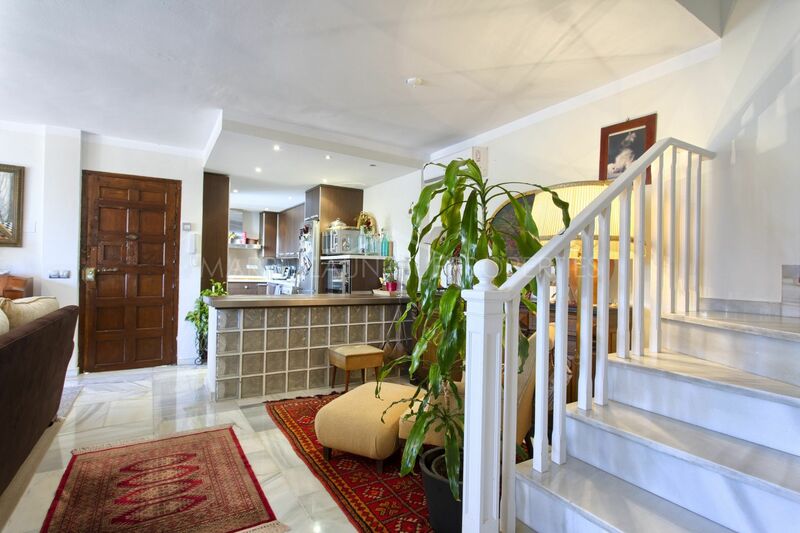 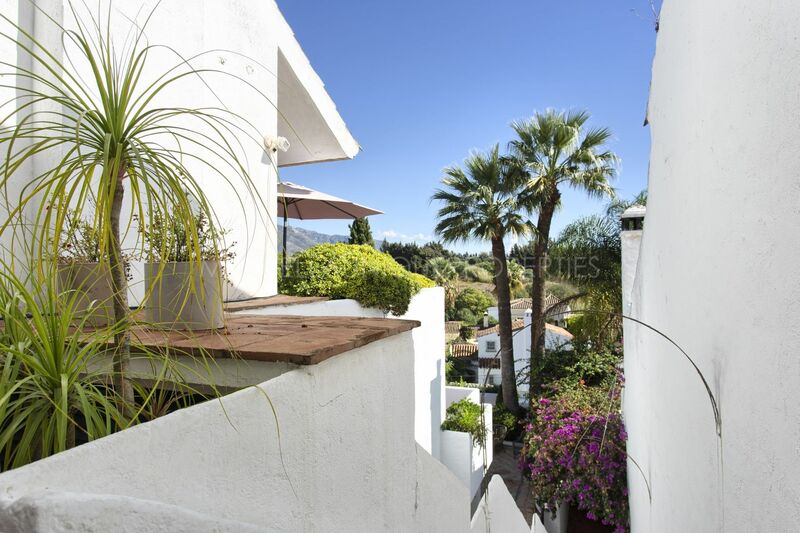 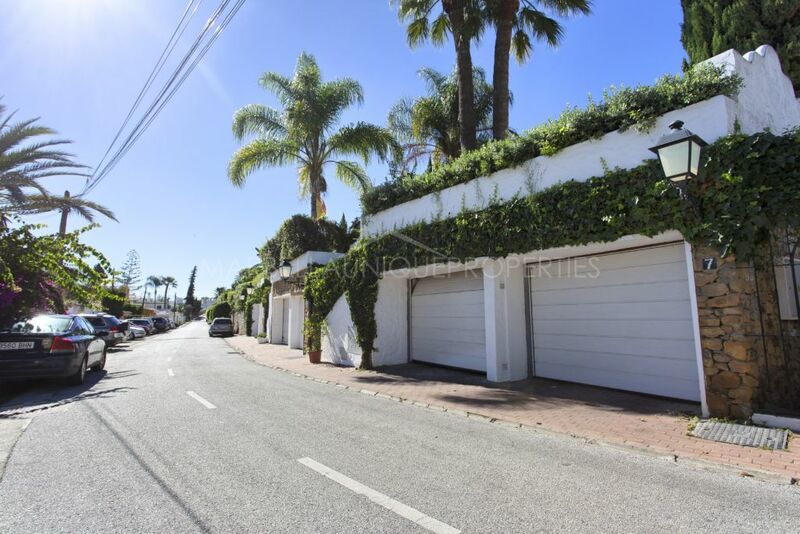 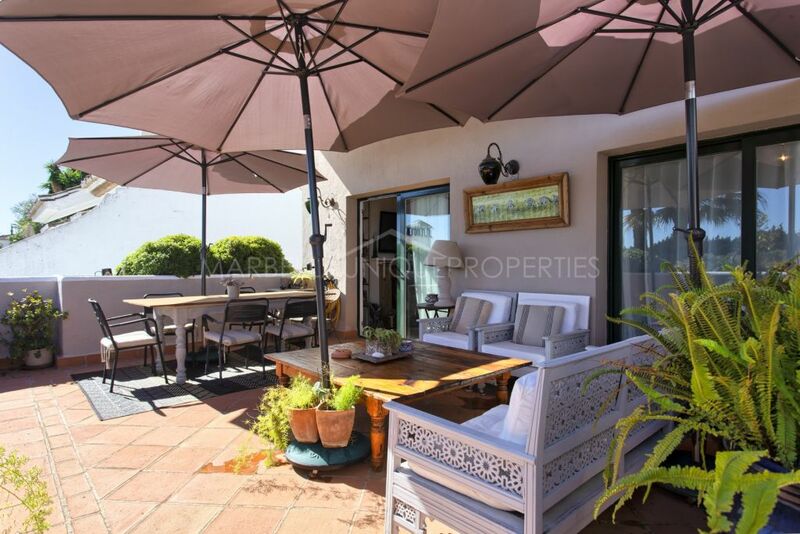 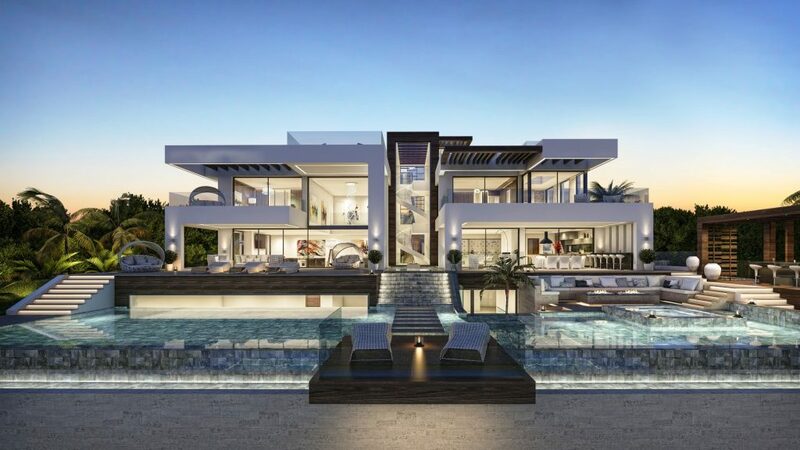 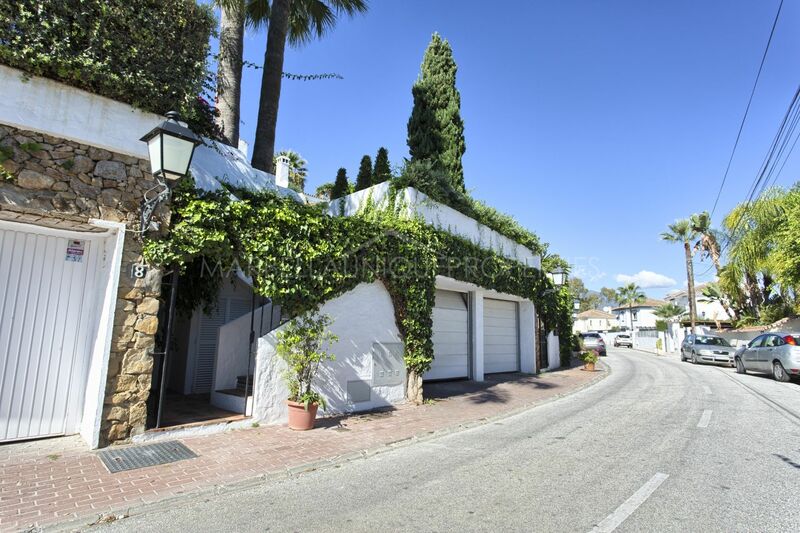 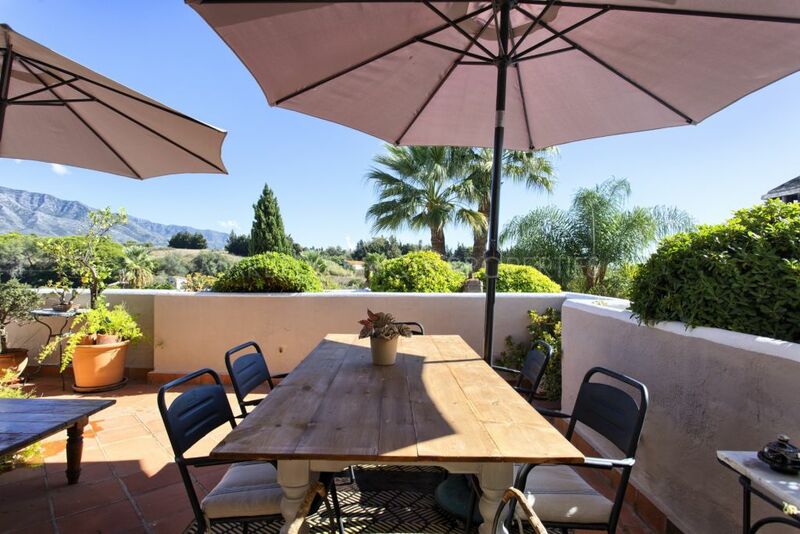 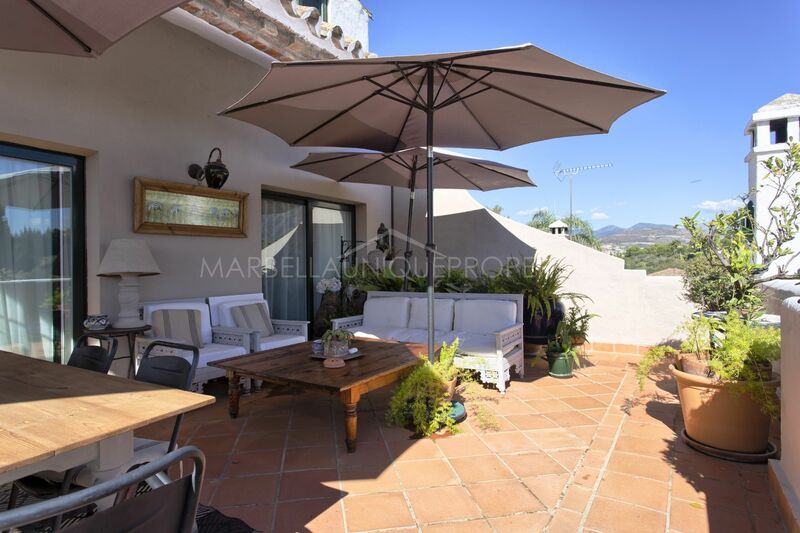 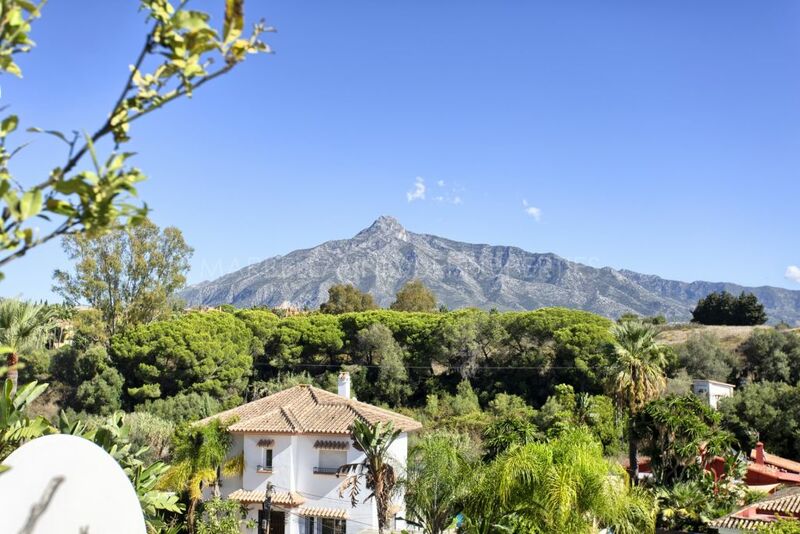 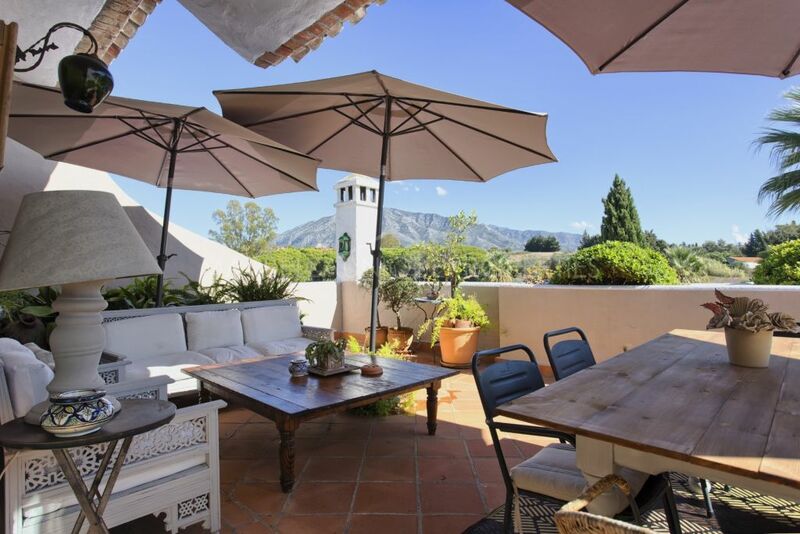 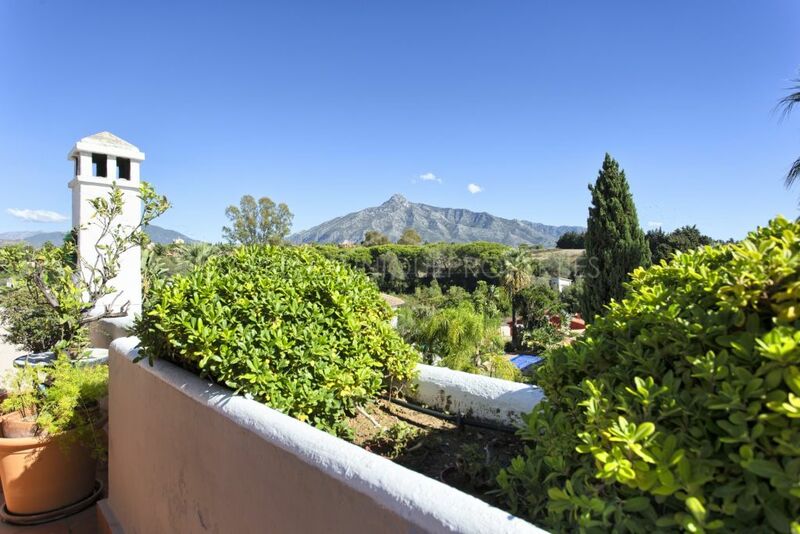 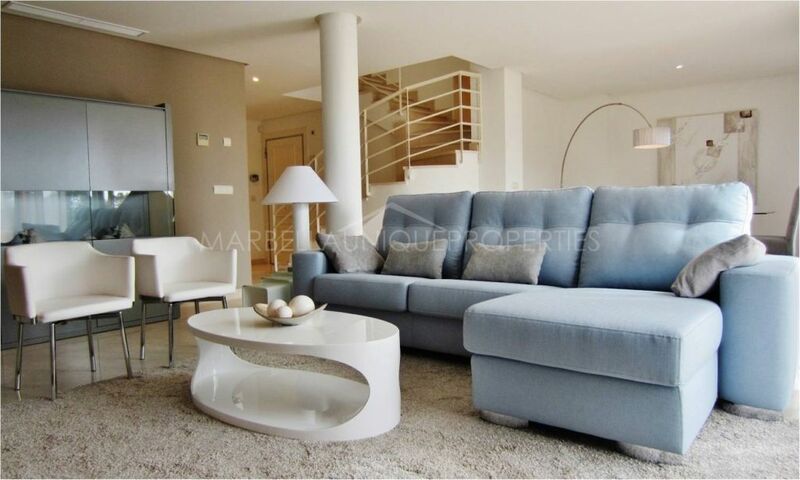 This 3 bedroom duplex penthouse is built over 2 floors with amazing panoramic views to the mountains and “La Concha”, located in gated community of Los Toreros in Nueva Andalucia. 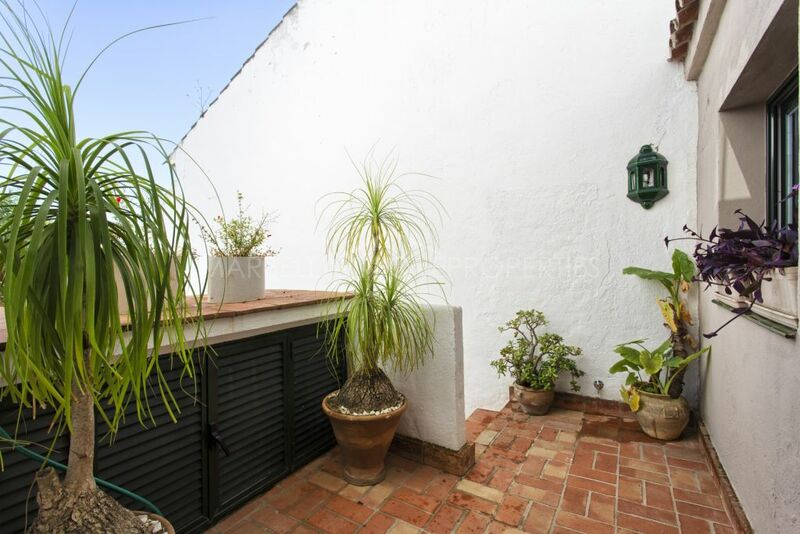 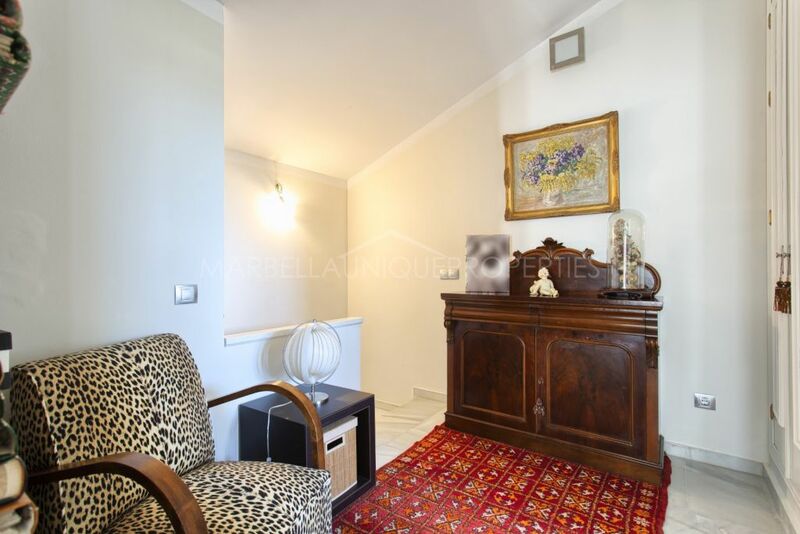 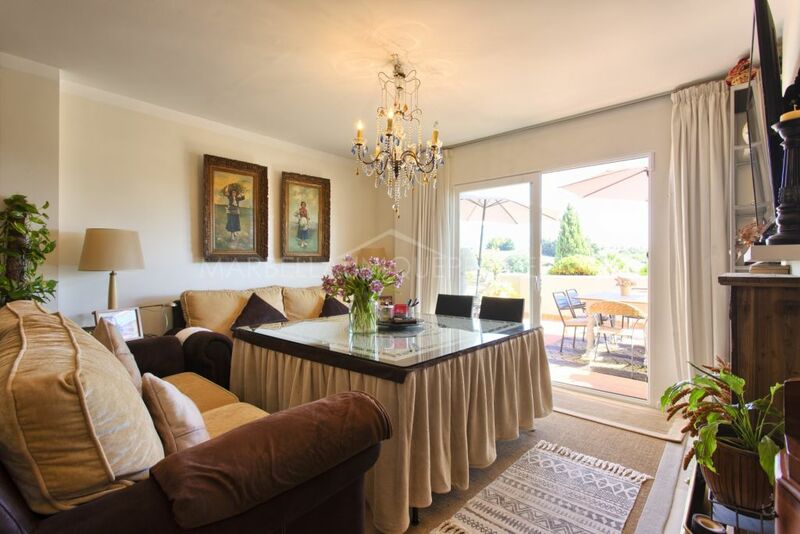 The partly renovated property is set in a quiet and private cul de sac and boasts an entrance hall leading directly to a large living room with fireplace and direct access to the terrace. 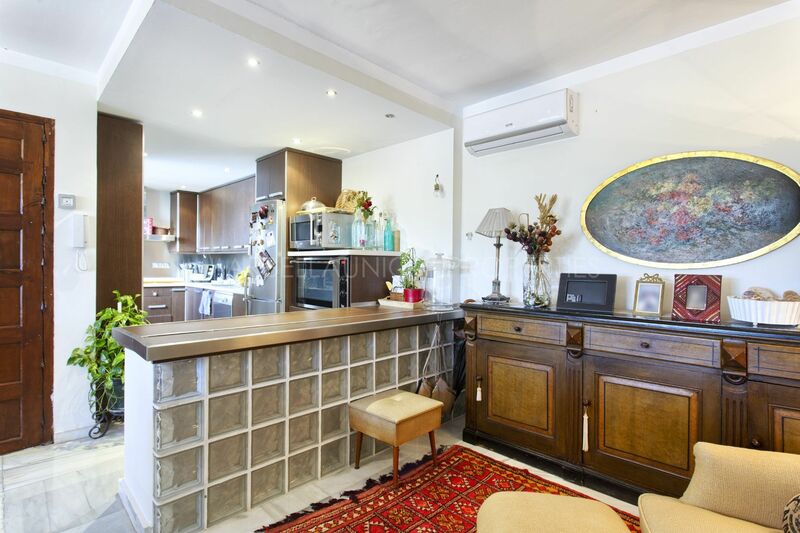 Open plan, fully fitted kitchen is connected to the living room via kitchen bar. 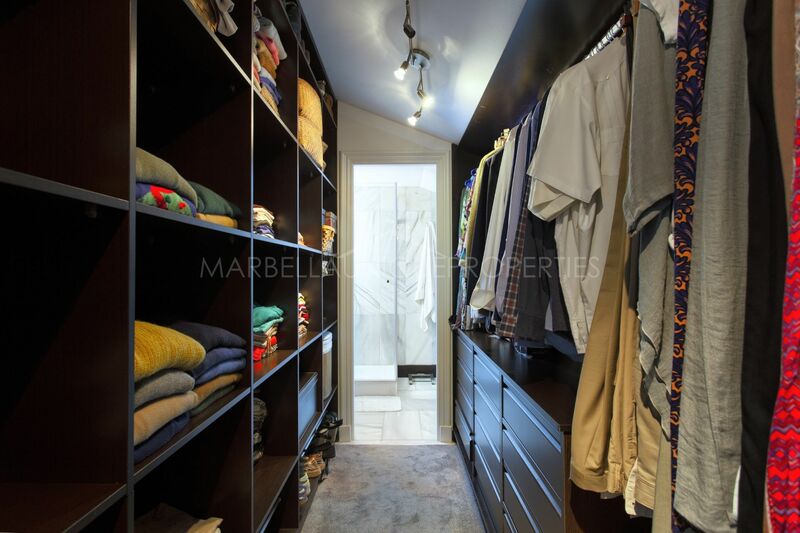 1 guest bedroom and 1 bathroom. A large partly covered terrace with dining and sitting areas; and an amazing view to “La concha”. 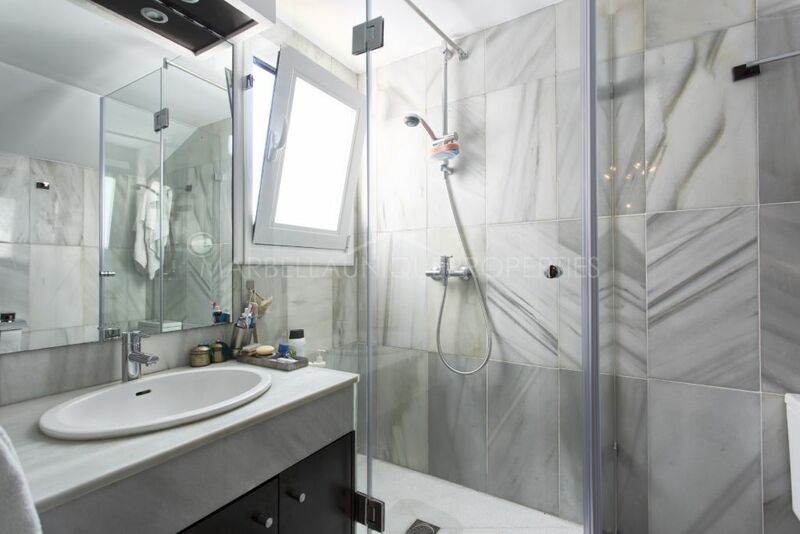 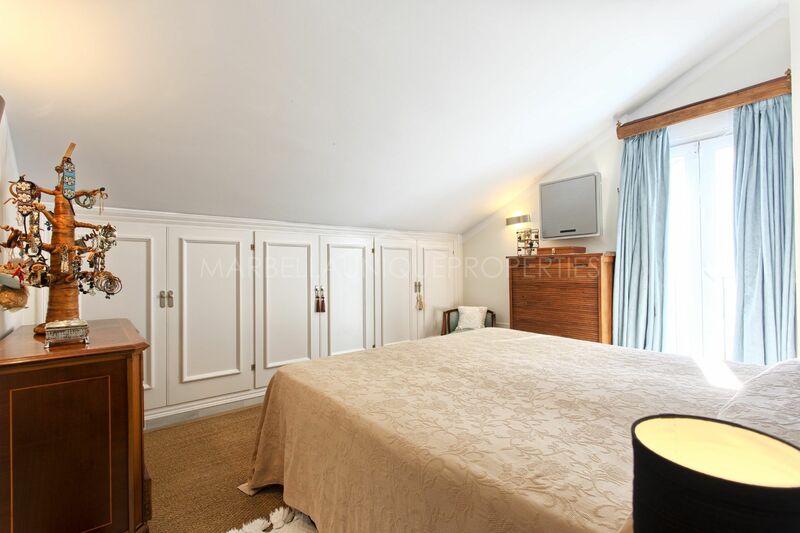 Upper floor boasts master bedroom with dressing area, 1 guest bedroom and a second bathroom. 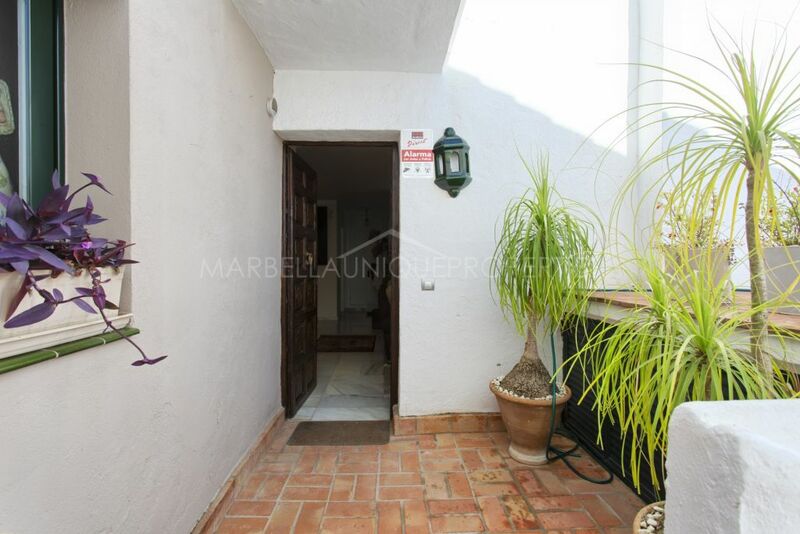 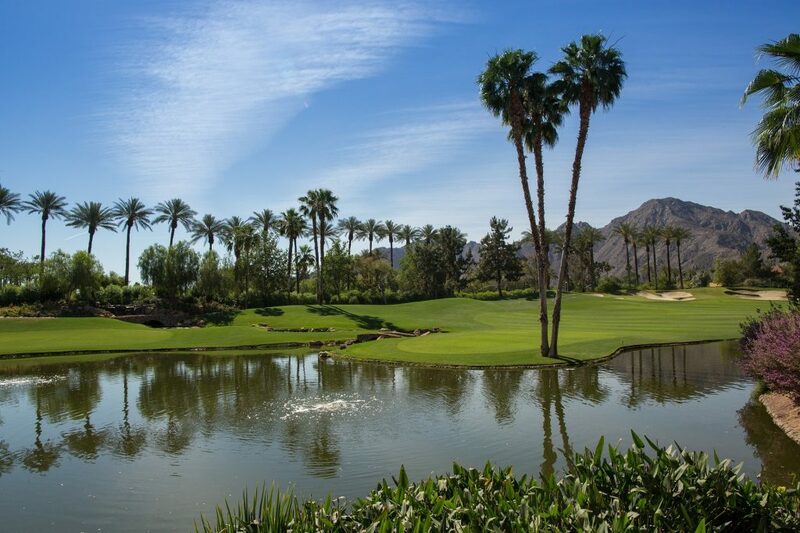 The property is to be sold including 1 garage space and the furniture is available upon separate negotiation. 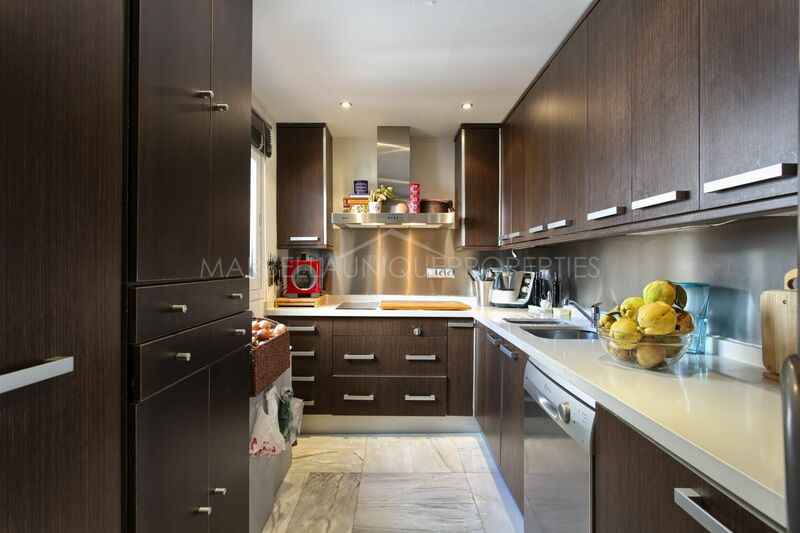 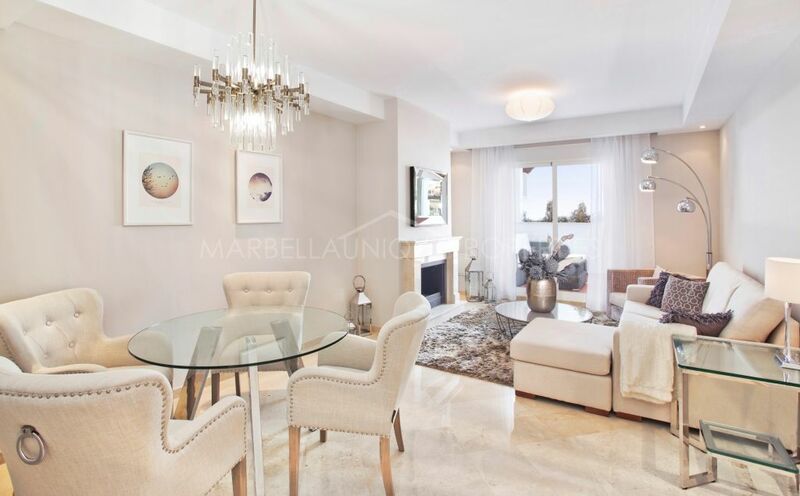 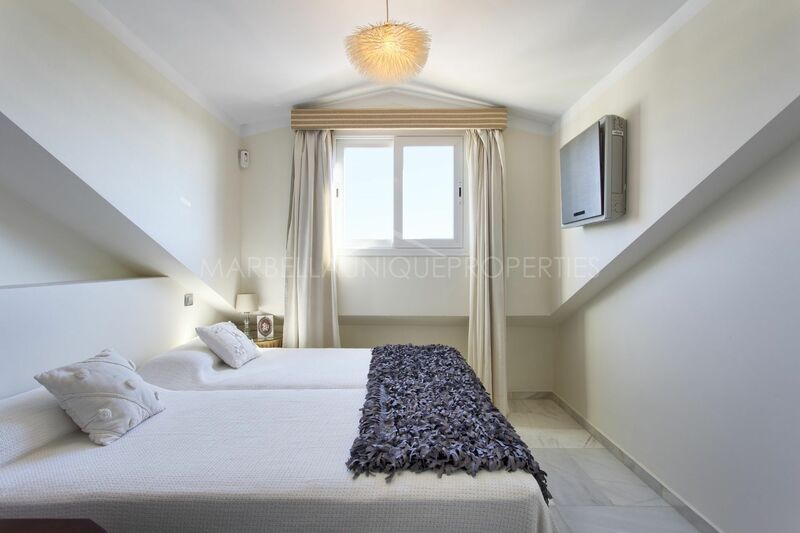 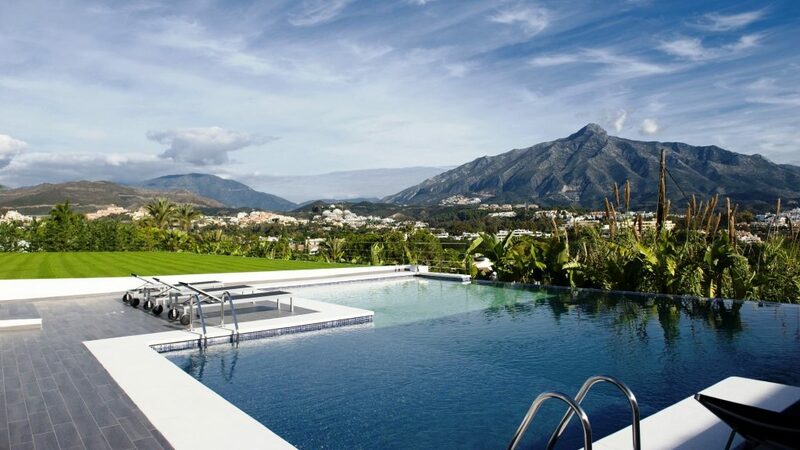 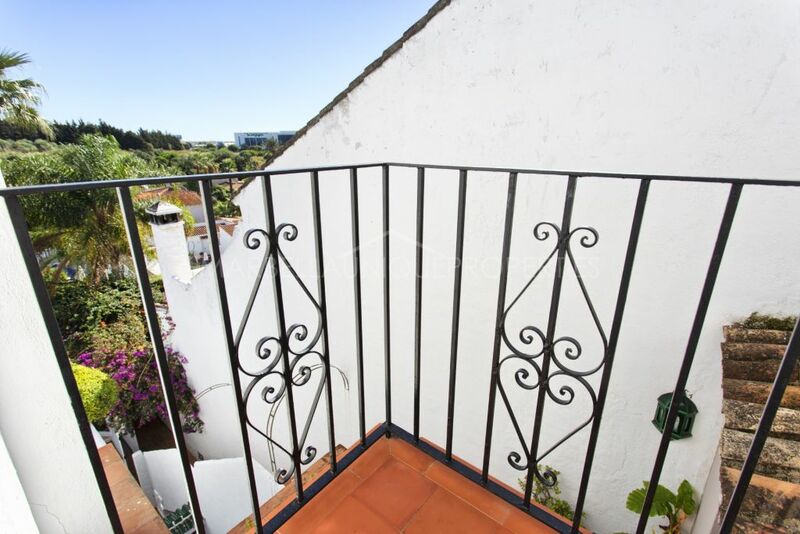 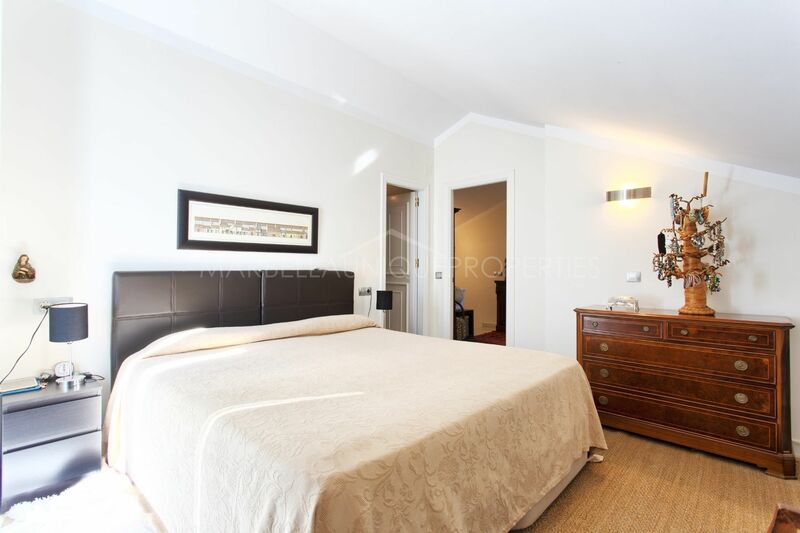 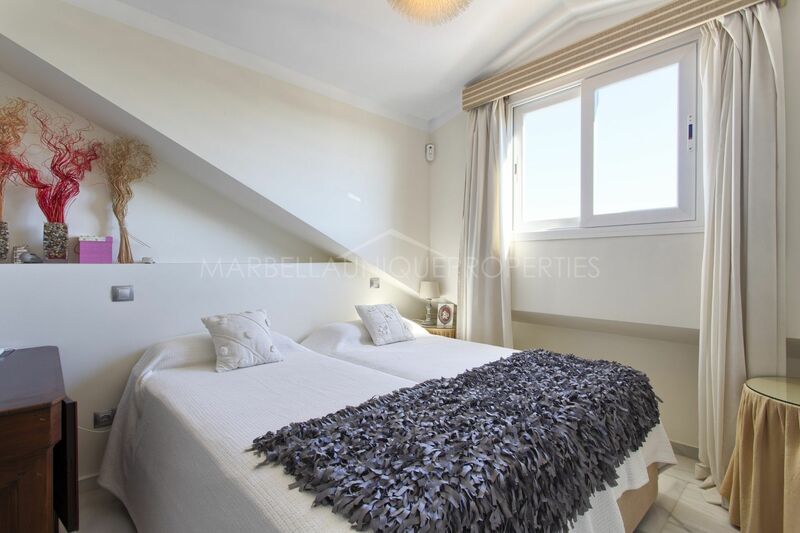 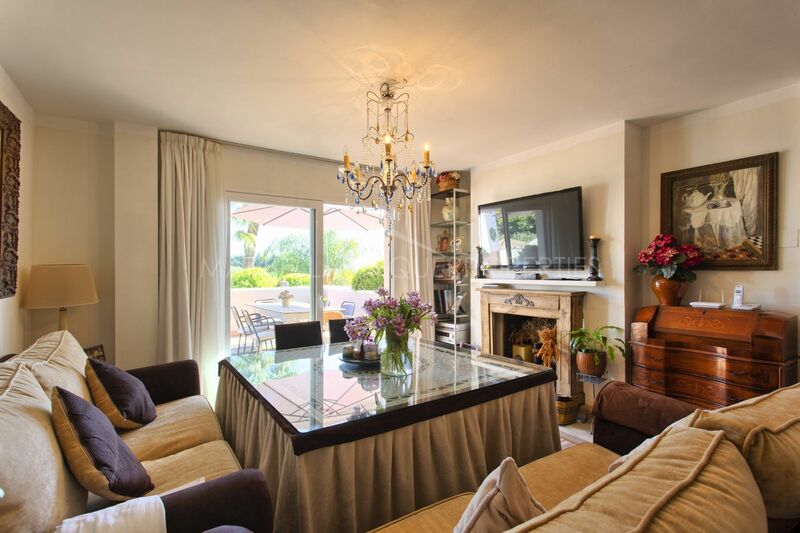 Set in a gated community with communal swimming pool, only few minutes walking distance to “La Sala” restaurant, the centre of Puerto Banus and the beaches. 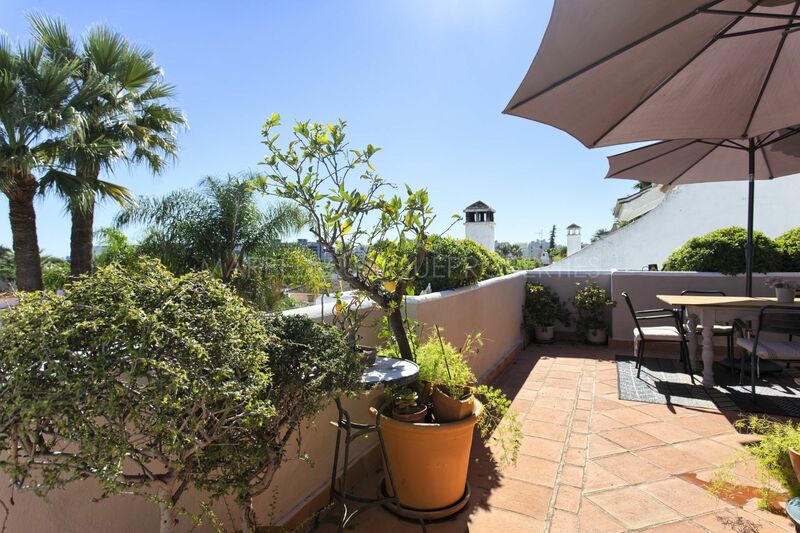 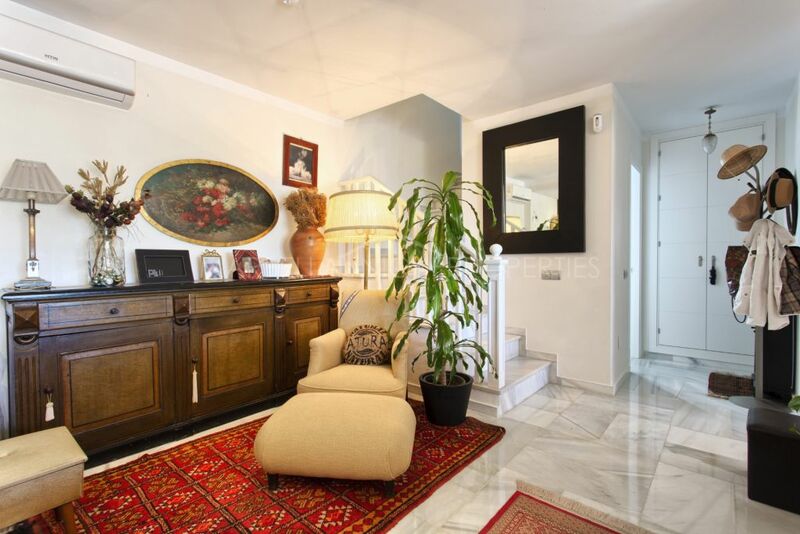 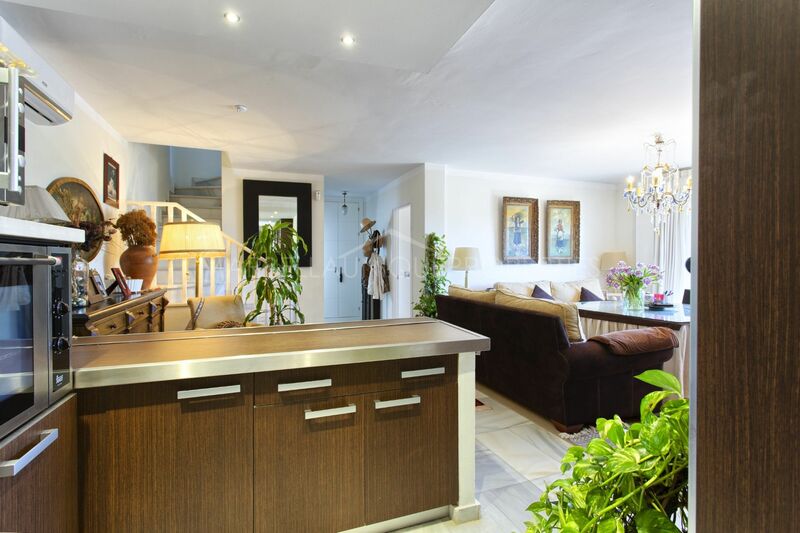 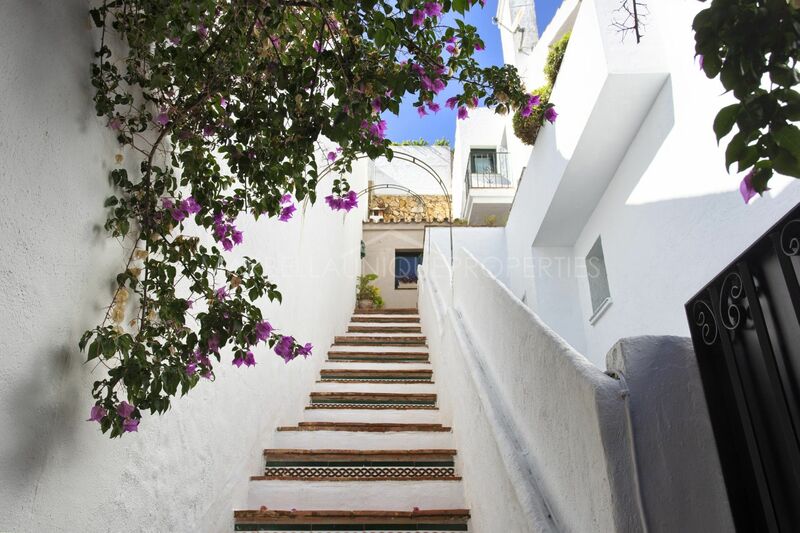 Please, send me more information about ref 239-01356P, Duplex Penthouse in Nueva Andalucia or similar properties.